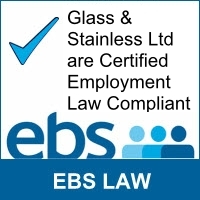 As one of the UK’s leading suppliers and installers of glass and stainless steel balustrades, bespoke glass and partitions we are expertly placed to advise on all aspects of your project. Our ‘one stop shop’ philosophy helps us maintain a high level of service and quality throughout all our projects and because we also supply we are able to advise accurately when estimating and quoting for projects. Our friendly and knowledgeable team are at hand to help, whether that be to audit and reduce your costs through our competitive product sourcing and industry knowledge or advise on timescales, legalities and possible issues that can be avoided through careful planning. Whatever your consultative needs Glass and Stainless have both the knowledge and experience to help. • Advising on budgeting, estimating and quoting. • Reducing costs through sourcing or product substitution. • Improving existing designs and quality finish. • Working directly with Architects in the design and feasibility of a project. • Auditing existing costs, plans and timescales. We provide technical advice on bespoke glass measuring and installation throughout the UK. If you are unsure of any aspect of your project, please don’t hesitate to contact us.